I am new to Android Studio. I have downloaded the latest andorid studio and this is what i get when i click new project. I went into the sdk in the package contents of android studio. 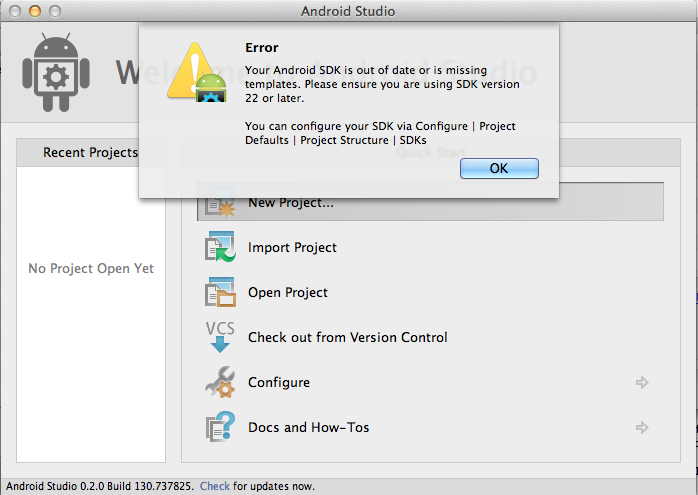 Then went into this application Android Studio 130.737825/Android Studio.app/sdk/tools/android. I installed everything I could and it still comes up with the error message.